A new survey is exploring elements of the horse-human relationship around the important decisions we make on our equine’s behalf. Humans have enjoyed a close bond with horses for centuries, sometimes facing tough decisions on their behalf. Researchers have launched a survey of owners to learn more about the horse-human relationship and factors that influence both purchasing and euthanasia decisions. 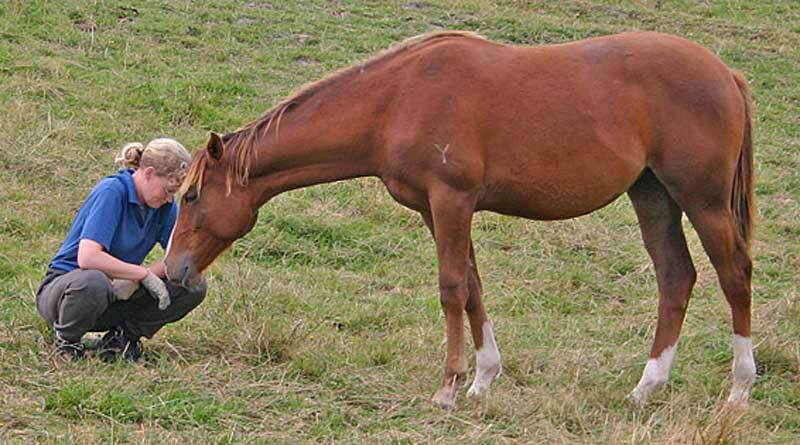 Horse owners make important, and potentially difficult, decisions on behalf of their horse at various stages of its life, making research into the factors, both negative and positive, which could affect these choices essential. To date, the study has already examined existing literature on the horse-human relationship, and carried out interviews exploring horse owner motivations and experiences related to decision-making. The themes identified have been used to develop the survey. The research, supported by The Horse Trust, is being carried out by Harriet Clough, a University of Nottingham fourth-year veterinary student who is tackling a one-year Masters of Research project. “The aim of my research,” she says, “is to establish a better understanding of the horse-human relationship through the investigation of factors which could have an impact upon horse-owner decision-making during specific ownership events. “We are looking for horse owners or carers who have previous experience of purchasing horses and/or euthanasia of their own horse to participate,” she says. The survey is split into two parts to enable horse owners to complete the sections appropriate for their experience. Participation in all aspects of the research is voluntary. Clough said she would be grateful for the participation of horse owners in the survey, which should take 10 to 25 minutes to complete. All responses are anonymous. Results will be shared with The Horse Trust to help horse owners with making important decisions regarding their horse. Professor Sarah Freeman, from the university’s veterinary department, is supervising the research. She says the latest survey builds on themes that have emerged from interviews during the study. Freeman says that while the study is based in Britain, international responses were welcome, “as these are challenges we all face”. The study has been approved by the School of Veterinary Medicine and Science’s ethics committee. Information collected will be presented in Clough’s Masters thesis and possibly used for publication and research presentations at conferences or meetings.